Observing and interpreting life via the camera lens has been my preoccupation throughout my working life. Whether creating fine art landscape photographs or producing images for commercial clients or magazines, I feel compelled to seek out and document the extraordinary, beautiful and sometimes amusing qualities of the people and places I see around me. This desire to translate my observations has also been the inspiration for my comic strip, Insanity Streak, through which I have endeavoured to illuminate the funny side of life for more than 15 years. My first experience with a camera was as an 18-year-old fine arts student, learning the traditional darkroom techniques of film developing and printing. This provided the foundation of my understanding of light and composition. I honed my skills as a wedding photographer for leading Sydney portrait studios, Divinity and Photografos, and later started my own photographic business. Since 2007, I have photographed many of Australia’s leading visual artists for Artist Profile magazine, including 11 front cover assignments. My passion for landscape photography increased when I bought a house on the NSW South Coast. This beautiful seaside setting provides the subject matter for many of my fine art photographs, including those I create for one of Australia’s largest publishers and distributors of greeting cards and calendars, For Arts Sake. 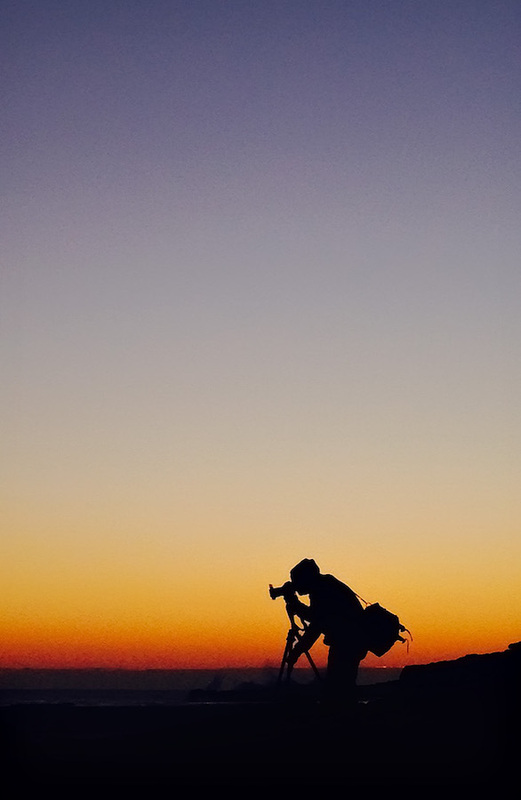 My love of photography is as strong today as when I saw my first image come to life in the developing tray at art school – though now I’ve embraced the possibilities of digital technology. One of the thrills of being a photographer is that each day presents a new opportunity to learn. I never stop trying to build my skills as a visual artist. It’s a privilege to do what I love every day. 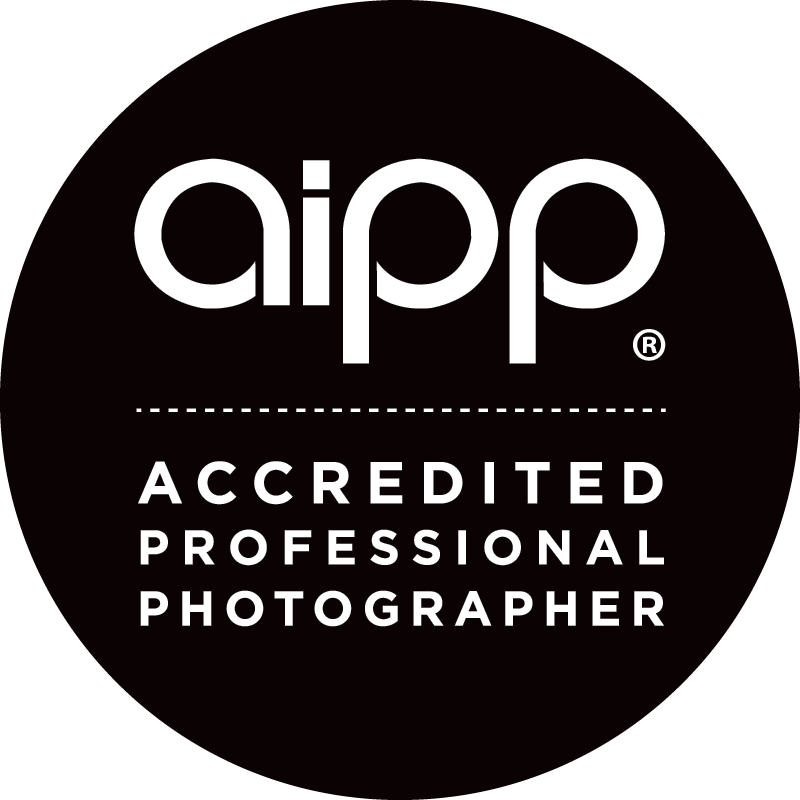 I am a member of the Australian Institute of Professional Photographers and represented by For Arts Sake. My work appears in Artist Profile magazine, South Coast Style magazine and Focus magazine, Coffs Harbour. You can view my work at my home gallery by appointment. 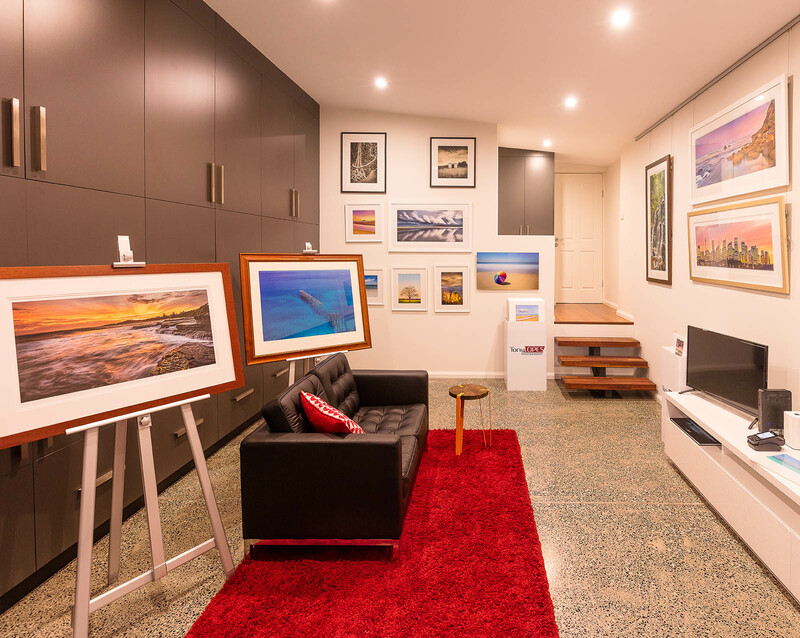 Having a permanent space to show my work was essential to me, so I built a home gallery which is connected to my studio, in Sydney’s Southern suburbs. You’ll be able to see more than 50 matted or framed pieces. If you like my images on the web, you will love the original prints. Come and see the collection!